I knew I wanted to come to Japan, but I didn't know what I was going to do there. Luckily, Sawaguchi- Sensei gave me a reason to. 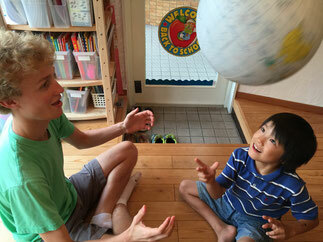 Assisting at Eigo Terakoya Academy (ETA) and staying at the Sawaguchi's home is a greatly valuable experience. 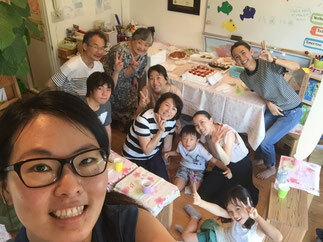 From the minute I arrived in Keiko-san's home, she and her family treated me more like a longtime friend than the relative stranger I was. All the way across the world, I was never without the comfort of a kind household. The welcoming environment at home is reflected at ETA. 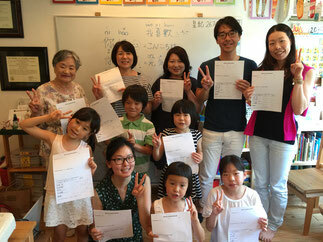 All of Keiko-san's students are very excited when they arrive and willing to learn. I found this balanced well with the way I was actively involved in every lesson. Sometimes challenging, often fun, and always engaging, the lessons taught a lot to me as well. 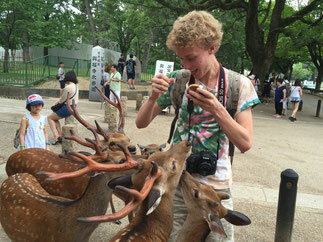 Meeting so many kinds of people was a great way to become acquainted with Japan so quickly. The time goes quick, but the connection to the students is strong. Altogether, I couldn't have asked for a more dedicated host or involving experience at Eigo Terakoya Academy. I hope you will have the chance to go, too! 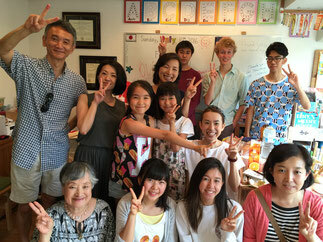 This summer I had the fortune to meet and teach some of the most wonderful ESL students at Eigo Terakoya Academy (ETA). Coming from a variety of proficiency levels with a wide age range, the students are not only eager to improve their English, but they are also friendly right from the moment of our encounters. 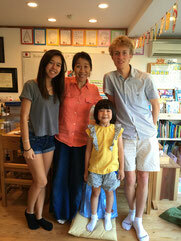 As the guest teacher of the month, I was able to share some of the different cultures I posses with the students. In addition, the one-on-one lessons allowed me to utilize my professional knowledge as a TESOL educator to help the students work on their weaknesses as well. None of this experience, however, would have been made possible without the help from Ms. Sawaguchi. She was always warm and cheerful, and her optimistic attitude spreads to her students and me everyday. Her kind family members also made my stay all the more authentic than I would have imagined. I was even able to learn Italian and some Italian culture from her 10-year-old niece! Thank you Ms. Sawaguchi and all of your lovely students at ETA. I hope we will have the chance to meet again! This summer I helped at Eigo Terakoya Academy. It was truly an amazing experience and a great opportunity. It was very enjoyable because everyone there is eager to learn. I helped mostly with English pronunciation. And I also got to share about my life and culture in America. It was also very interesting for me because I got to learn about Japanese culture at the same time !